I was interviewed by Carina Storrs for CNN Health about the research article published earlier this week in the British Journal of Nutrition, "Composition Differences Between Organic and Conventional Meat: a systematic literature review and meta-analysis." Click here to read the interview. This study looked at studies conducted over the last 2 decades in Europe, Brazil and the US to try to determine if organic meat was more nutritious than conventional meat. 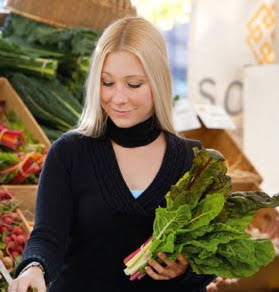 There was not enough information to determine whether one was better than the other in terms of vitamins or minerals. The only component that there was enough information to compare was fat, and specifically omega-3 fatty acids. The study showed that there were higher levels of omega-3s in organic as compared to conventional meat, with this finding being driven mainly by beef. This makes sense policy- and biology-wise since organically raised cows must have access to the outdoors, whereas this is not true for conventionally raised cows. The omega-3s come from the diet, and diets high in foods eaten while grazing and foraging (namely green grass and other green plants) result in higher levels of omega-3s in the animals. 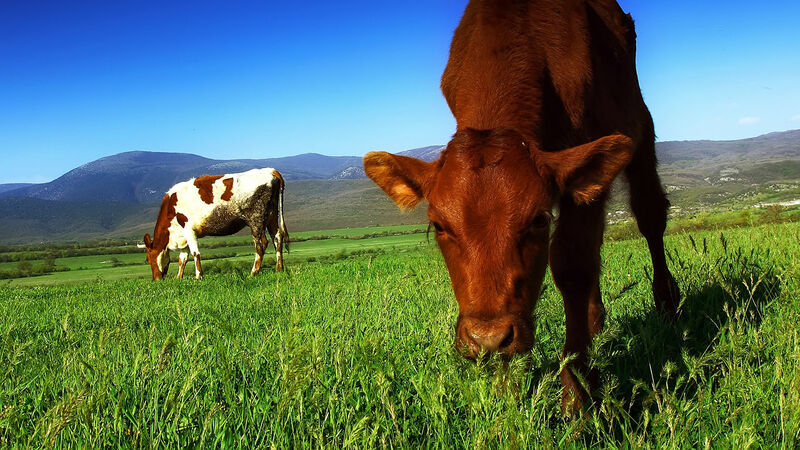 The study did not make a distinction between grass-fed and non-grass-fed animals. It is reasonable to expect that non-organic, grass-fed animals would have similarly high levels of omega-3s as organic ones. This particular study did not look at organic milk, which is reported in the same news article and, I assume, is from another source which I won't comment on here. Want to know more about omega-3's? The main omega-3 fatty acids in the diet are ALA, EPA and DHA. ALA is found mainly in nuts, seeds and leafy greens, whereas EPA and DHA are found more often in animal products like fatty fish, meat and dairy products. Seaweed also contains EPA and DHA (which is where the fish get it from). However, our bodies can convert ALA to EPA and DHA. This generally only occurs in significant amounts if our diets are lower in omega-6 fatty acids. Omega-6s are found mainly in vegetable oil, fried foods, processed foods, meat, dairy products, and poultry. 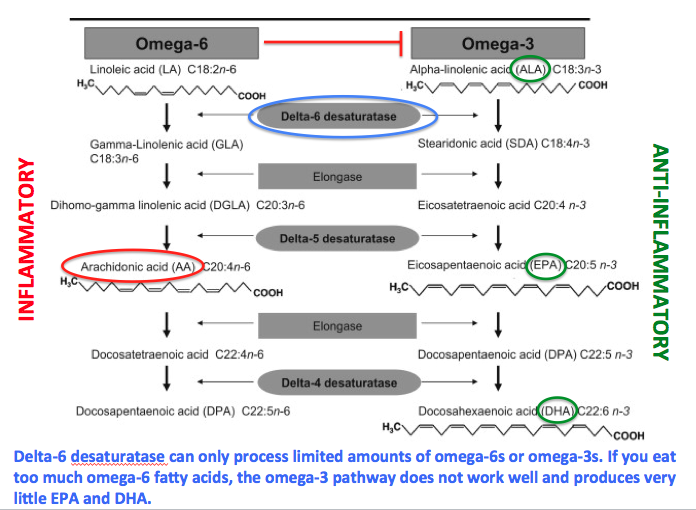 This is because the enzyme that converts ALA to EPA and DHA also processes omega-6s to their downstream products. 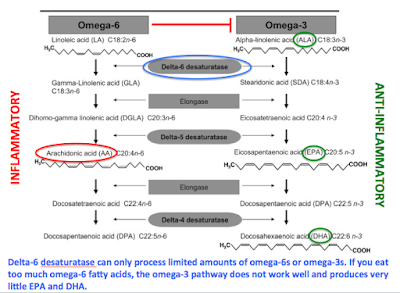 The downstream products of omega-6s include inflammatory arachidonic acid, prostaglandins and leukotrienes that contribute to diseases such as asthma, blood clots, arthritis, and atherosclerosis. The downstream products of omega-3s are anti-inflammatory and are widely touted to have many health benefits. Studies show that diets containing red and processed meats (e.g. sausage, bacon, hotdogs, etc.) put people at higher risk of some cancers, heart disease and diabetes. Even though organic and grass-fed beef may contain more omega-3s than conventional beef that is not grass-fed, it is better to get your omega-3s from plant and fish sources. If you do choose to eat red meat, try to save it for special occasions, cut down on your portion sizes, and limit it to 1 serving per week. Try to choose organic or grass-fed beef when possible to get more omega-3s and reduce the impact of meat production on the environment.